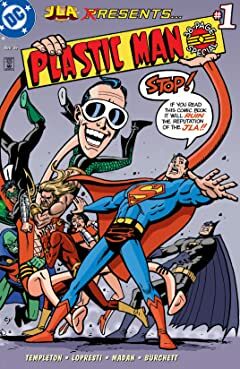 The JLA's wackiest warrior takes center stage in his own hilarious extra-length special, written by Ty Templeton (BATMAN: GOTHAM ADVENTURES)! 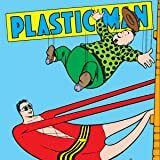 In "Plastic Fantastic" (with art by Aaron Lopresti), our star is transformed into a pop icon courtesy of his super-popular basketball-shoe commercial! 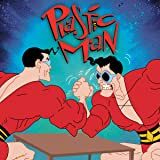 Then, in "The Secreted Origin of Woozy Winks" (with art by Dev Madan and Claude St. Aubin), discover the origins of Plastic Man and Woozy, their past adventures as (sort of) super-spies and the disgusting reason why Mr. Winks is so woozy! Finally, Plas stars in the ultimate crowd-pleasing saga that combines every mega-crossover comic you've ever seen-in eight pages! 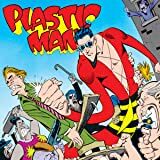 A retelling of Plastic Man's origin as well as a great new tale that pits Plas against his criminal past! Plas and Woozy break up The Chance Club and must stop the Japanese from stealing a camouflage machine. Later, Professor Goodman takes advantage of a man's disfigurement; and Woozy heads out West to find his fortune after he is conned into buying a map to a goldmine. 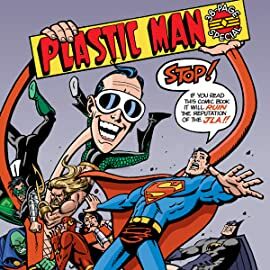 Scripts and art by Jack Cole. STARRING HEROES FROM CRISIS ON INFINITE EARTHS! You have to see this story to believe it! 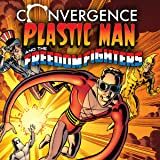 Plastic Man and the Freedom Fighters are on the gallows in a New York City taken over by Nazis, when robot super heroes attack from Futures End and enemies become allies.